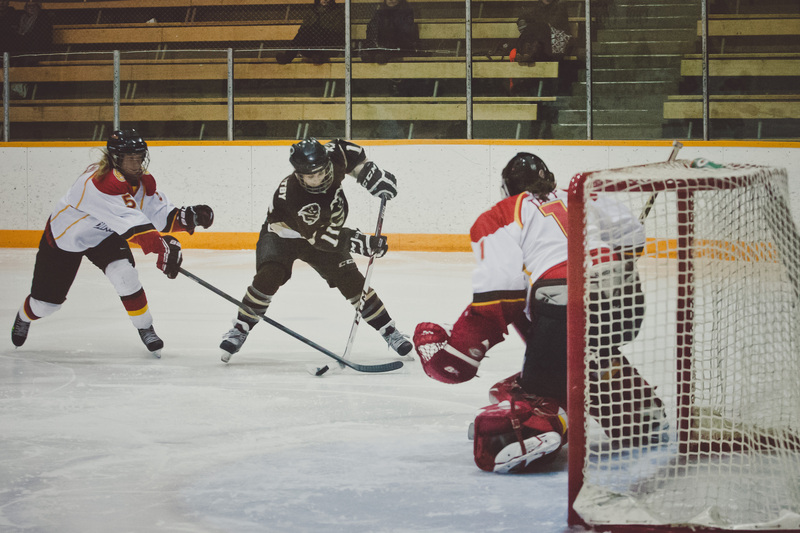 The U of M Bisons women’s hockey team continued its winning ways Saturday, beating the Calgary Dinos 4-1 and earning a home-opening series sweep. Natasha Kostenko drew into the lineup for the herd Saturday and made an immediate impact. 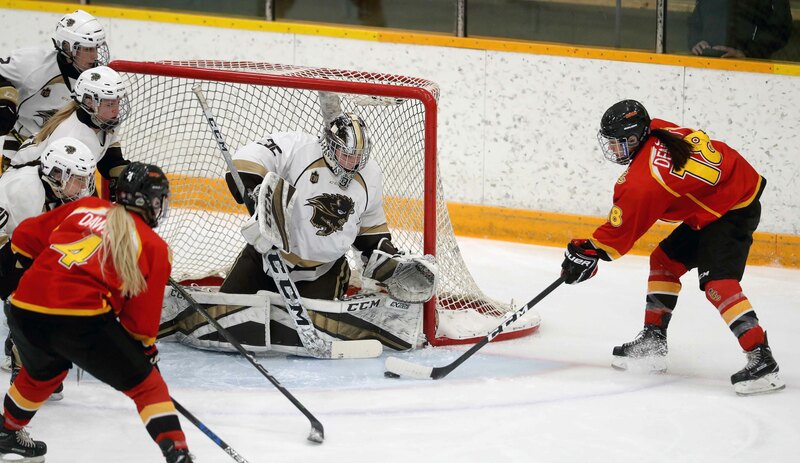 A shot was put on the Dinos’ net, a Calgary defender fell and Kostenko followed the puck. A scrum followed and Kostenko poked the puck by goaltender Kelsey Roberts for the 1-0 Bisons lead less than four minutes in. “I missed the home opener so I had a little fire under my bum today,” Kostenko said postgame. Manitoba extended the lead in the first, this time off the stick of Sheridan Oswald. The Bisons broke into the Calgary zone on a three-on-one. Lauryn Keen fed Oswald and she fired a shot on goal. Roberts made the initial stop but Oswald followed up, banging the puck into a yawning cage for the 2-0 lead. Calgary got on the board in the second on the powerplay. Paige Michalenko sent a cross-ice pass to Elizabeth Lang in the faceoff dot, and she roofed her second of the weekend to cut the Bisons lead to one. Manitoba answered back with a powerplay marker of their own in the third. Keen picked up the puck down low, and found Lauren Warkentin at the point. Warkentin stepped into a shot and beat Roberts for a 3-1 Bisons lead. “She was really good,” Bisons interim head coach Sean Fisher said postgame. Madison Cole added an empty-netter — her first goal as a Bison — and the herd took the game 4-1, completing the series sweep. 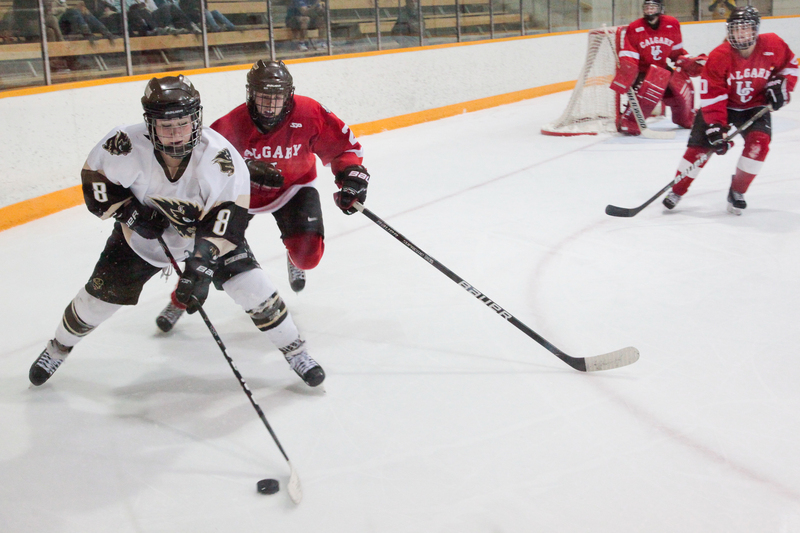 Manitoba will be on the road next week to visit the University of Alberta Pandas in Edmonton. Game one is Friday, Oct. 12 at 7 p.m. MDT, with game two Saturday at 2 p.m. MDT.